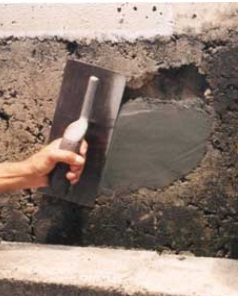 We have discussed different method of repair of concrete member in the previous posts. In the last post we have discussed about surface preparation method for providing repair materials. 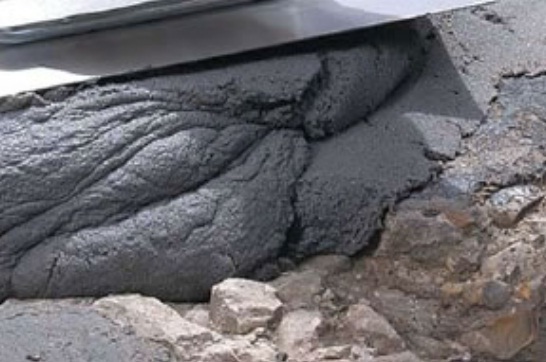 Now we will discuss another method of concrete repair and its application for particular cases. This component with epoxy bonding coating provides a mortar that can repair old concrete surface. d. Having facility to apply in thin film of few millimeters. 1. Where concrete bonded with epoxy can not be used due to accessibility problem. 2. Where repair work required less than 40 mm thick overlay of repair mortar. 3. Where a small quantity (No.) of point or small area have to be repaired. This is practical for less than 0.1 Sqm. We have mentioned earlier that this mortar is applicable when patch thickness is less than 40 mm. But when the required thickness exceed 15 mm and patching work have to cover large areas then patching work done in layers providing mesh reinforcement fixed with the help of U-nails or sometimes by shear keys. Thank you so much for the wonderful tips Just want to ask a simple question I have Wood Plank also the base is wood so can I use that for this crack?